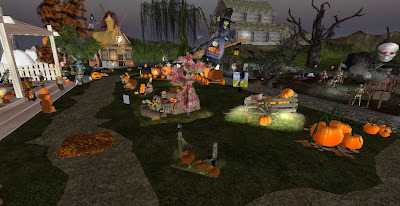 Yes Halloween is approaching us and if you have not decorated your sim/land for the theme or are looking for extras to add to what you already have. Here are a few shops you may or may not have come across in your search. 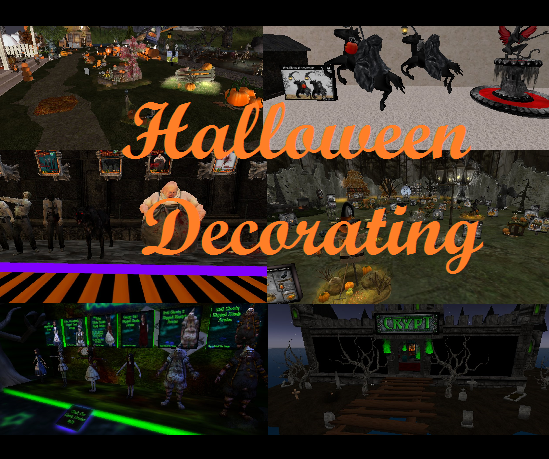 This is an awesome place to find all your needs for Halloween decorations. As soon as you arrive there are plenty of products for sale. Each have been created and designed beautifully. From Pumpkins and Cauldrons to witches on a broomstick flying around, this is a great placed to shop. They are not low in price but if you do not have a fixed budget this would be a perfect place to start looking. Use the teleport. It is close to a rickety old house where you can find things you would expect to see in a Harry Potter movie; from spinning books to broomsticks that sweep on their own. Here you will find decorations for the really serious Halloween decorator. The store has crypts, grave stones, skeletons holding lamps, the headless horseman to name but a few products. It is truly the dark side of Halloween decorations. 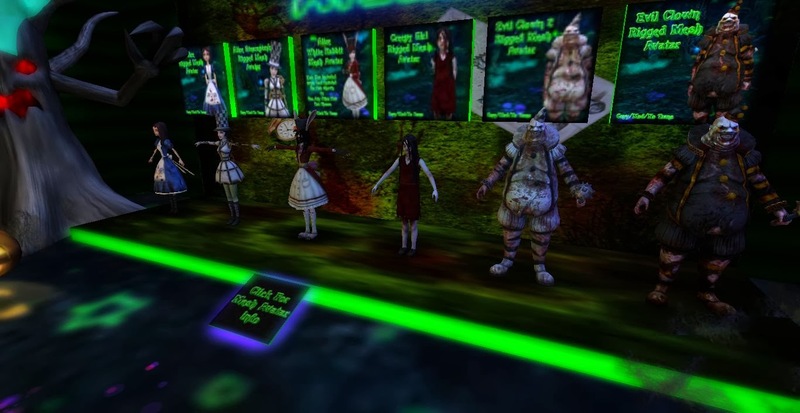 Now this may not be to everyone’s taste but if you wish to take your decorations to the next level this is definitely the place to visit and the decorations do not cost a lot. Perfect if you are trying to create something which would be fitting for a Tim Burton movie. 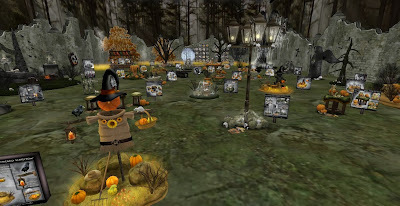 HALLOWEEN MARKET AND AUTUMN MARKET! Halloween Decorations. OMG where do I begin! This store is awesome. As soon as I entered the shop I saw the amazing horror statues. From scenes of “ The Walking Dead” to the Jackal with it’s bright red piercing eyes. 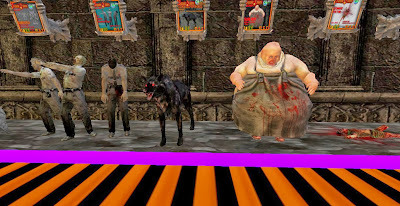 To add to the theme, there are zombies that look as if they walked out of the Walking Dead series for only 50L and 1prim only. This store is for those who are abandoning the traditional Halloween decorations and moving into the more modern horror scary Halloween. It will also work well if you want to keep a bit of the tradition but also mix and match with the new. 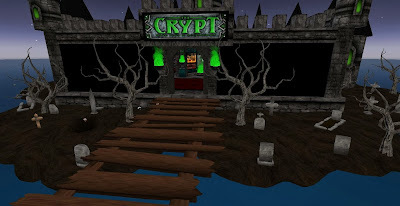 If you are going to look for Halloween decorations I could not think of a better place to go shopping than at a Lycan RP sim. At this sim you will find a store dedicated to Halloween decorations. From embalmed mummies to bats flying around your land. The store also sells the traditional pumpkin patch and cauldron decorations. I would say the merchandise is reasonably priced. The Brethren bats, however, are priced at 599L. So again it will be up to you to decide if this is what you require to complete your Halloween decoration look. Now I have mentioned Halloween Town 2013 in my list of places to visit for Halloween. However, to not mention it again when it is so popular would be a mistake. As soon as you arrive, on your left hand side you will see a shop dedicated to Halloween decorations. Here you will find pumpkins in the usual orange color but also pumpkins in different colors such as purple, green, pink. As you walk deeper into the shop you will comes across Bentham Manor products. 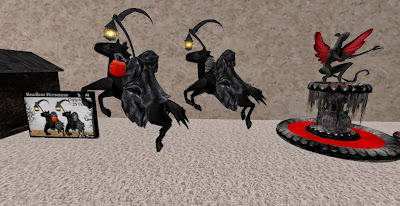 From flying spinning books and cauldrons to those spooky ghouls, Halloween Town has some really cool stuff. 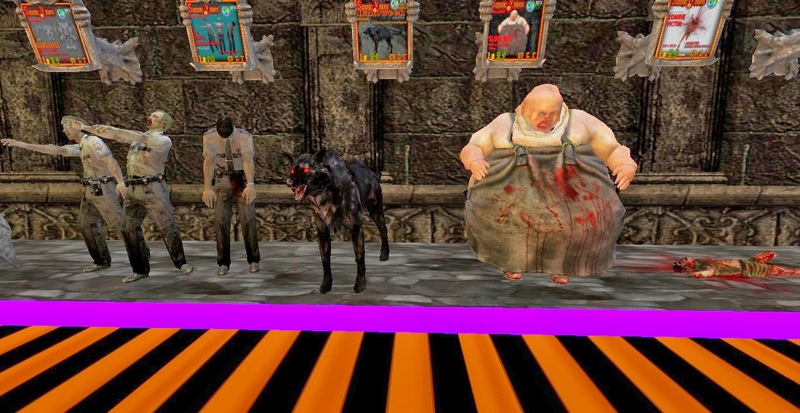 There are also mesh characters from a Tim Burton movie. The merchandise is a little bit more pricey than The Halloween Store but still very nicely created. Whatever your budget is there is always a store that can cater to you. Halloween is about having fun and I hope you all have a fun time Halloween shopping too!